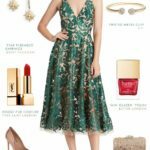 A Look at the New Wedding Dresses from ModCloth! 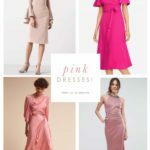 You are here: Home / Wedding Dresses / A Look at the New Wedding Dresses from ModCloth! 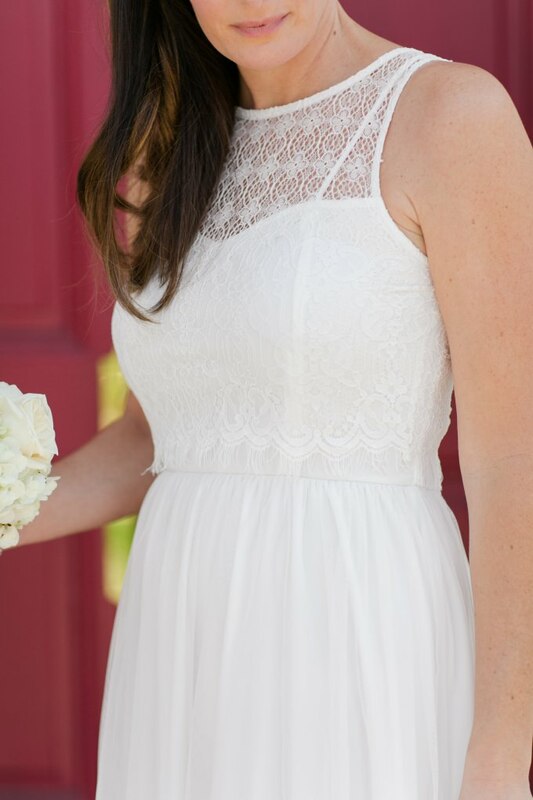 ModCloth has a new collection of wedding dresses and bridal gowns, and – lucky me – they offered me a chance to wear two of them! 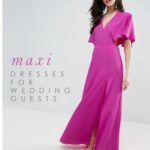 Our look at these wedding dresses from ModCloth’s bridal collection has been sponsored and graciously provided by ModCloth. This post also uses affiliate links. 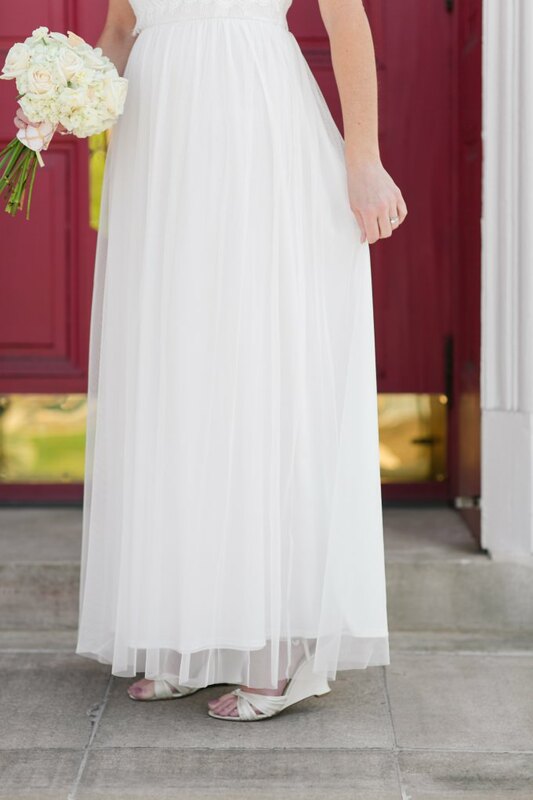 Wedding Dresses from ModCloth – Gorgeous Bridal Gowns Under $200! 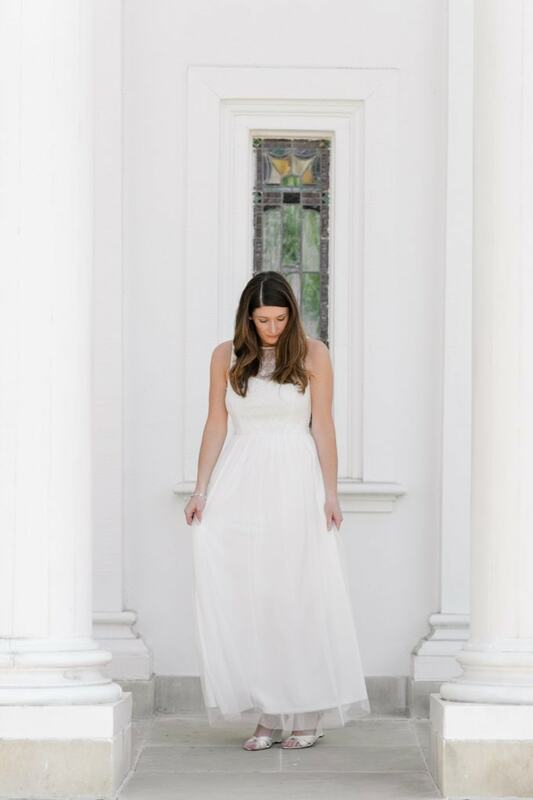 Being a wedding blogger has many fun aspects: looking at pretty wedding images all day, getting to help happy couples plan their day, and seeing lots of beautiful wedding dresses! But if that last part of the job were to have one slight drawback, it would be that since I’m already married, I’m constantly looking at wedding dresses that I have no hope of ever wearing. It’s not a terrible hardship, but there are so many new and fresh bridal styles I’d love to try out or wear if I were a bride today. Of course, like most married ladies, I had just accepted that I’d never wear another wedding gown, unless my husband and I did a vow renewal. But the fantastic people at ModCloth had other ideas! Earlier this month, they asked if I’d like to try out their latest collection of bridal gowns! (Would I? Of course!) 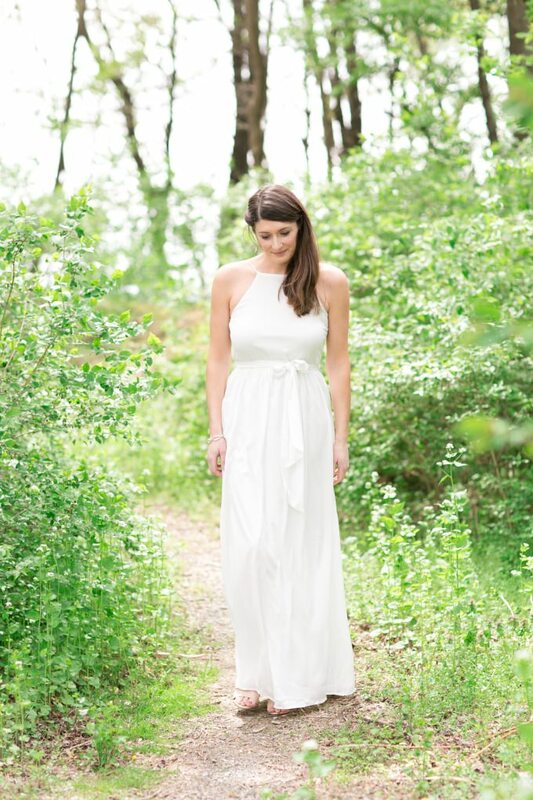 So now, thanks to ModCloth, you’ll see some of their newest wedding dresses on me! 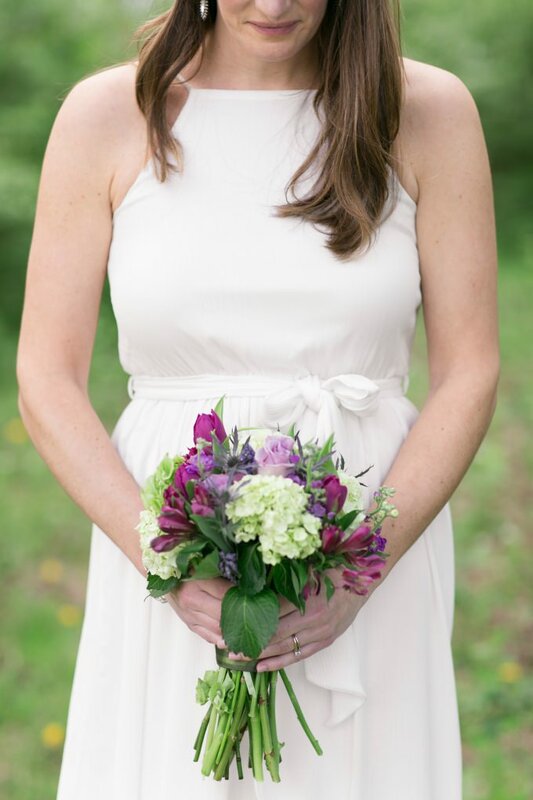 Thank you to Brittney Kreider Photography, who helped me get in the mode of being a bride again and captured these looks! The ‘Make Some Poise’ Dress from ModCloth has a beautiful lace illusion neckline, created by a popover button-up lace top, and a tulle skirt. It retails for just $150! The ‘Beyond Blissful’ dress from ModCloth is perfect maxi dress style for those seeking a simple, but sleek, modern style that is easy-to-wear! It also retails for $150. The first gown I wore, the ‘Make Some Poise’ dress, embodies several elements that I have been thinking I’d like to wear: an illusion neckline, a tulle skirt overlay, and a lace cropped bodice. I wasn’t 100% sure if the cropped popover style was something I could pull off, but I really liked it! The lace top has a bit of stretch, buttons up the back, and has a pretty fringe of eyelash lace. It’s a joy to wear, because whole lining of the gown is extremely comfortable and stretchy and the lace has some give too. I will note — for those who might be curious like I was — the popover top isn’t removable – it’s attached at points to the bodice, which has some beautiful shaping built in, so because of that, one wouldn’t wear the dress without the popover top. But, really, with a look this great, why would you want to change it? I also loved how the tulle overlay extended beyond the hem but wasn’t to the floor. It’s a length that is perfect for showing off a great pair of bridal shoes. One of the most wonderful things about this wedding dress is that it looks like a bridal gown that would be many times its price point. 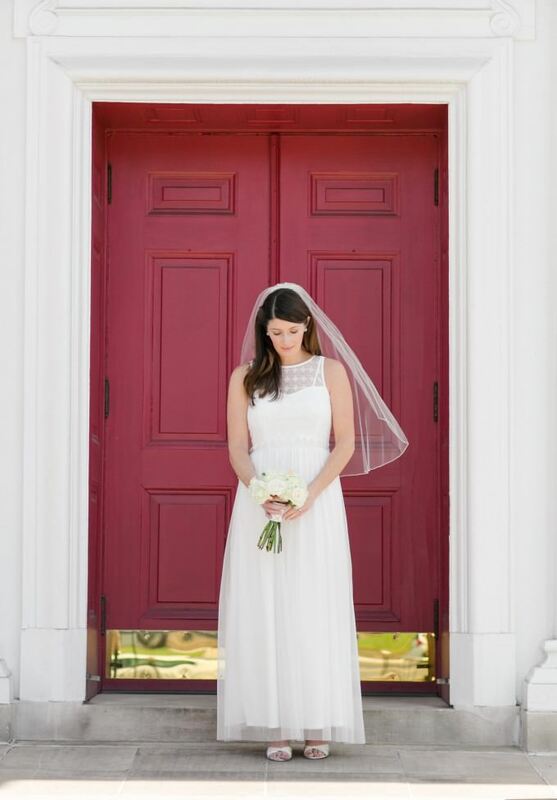 When I was wedding gown shopping for my real wedding, I was amazed at how some of the simple gowns I tried felt so plain and lacked substance, making it feel like I was wearing any other dress. This dress is not at all like those! 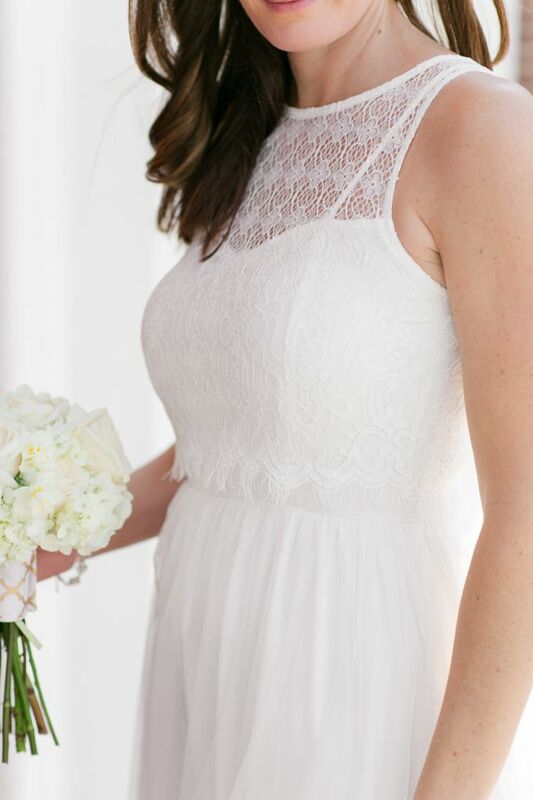 Thanks to the lacy top and tulle, it is beautiful, fun to twirl in, and feels like a special wedding dress to wear! The next gown is another type of wedding dress that I’ve always thought I’d like to try out! 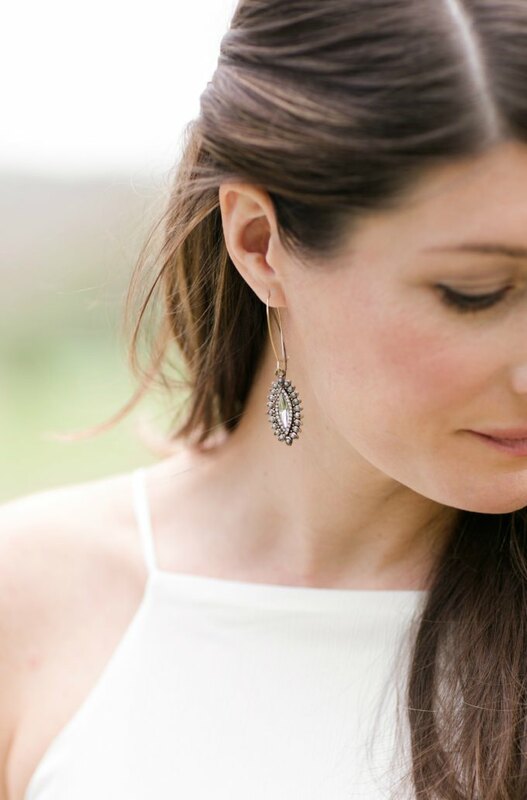 I’m drawn to a clean, modern look, bohemian styles, and would love to have a beach wedding, and this gown, the ‘Beyond Blissful’ dress, would suit all of those styles of weddings. It has a modern square neckline and floaty fabric that is a pleasure to wear! 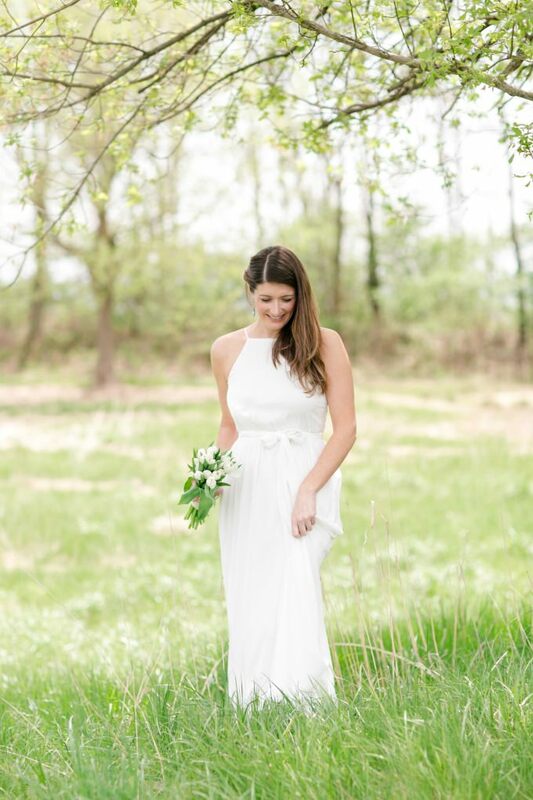 It was as comfortable as any dress you can imagine, and by changing flowers and accessories, it can be made to suit anything from an rustic outdoor wedding to a beach chic wedding. 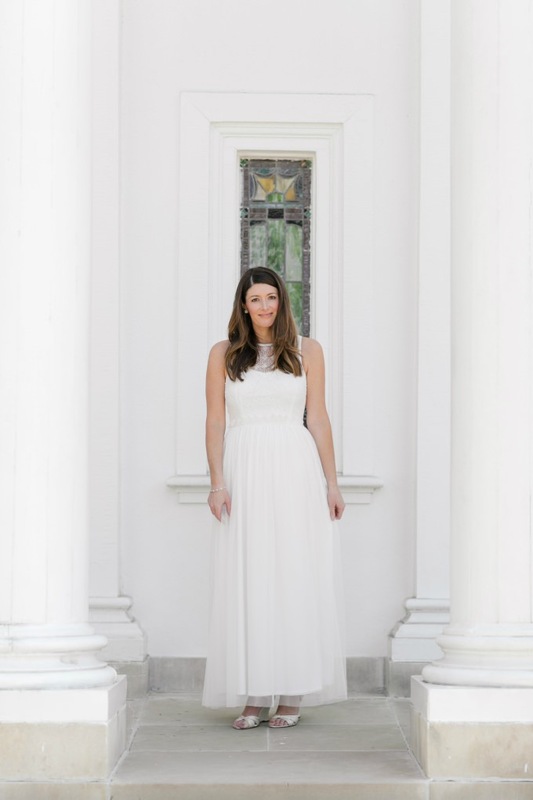 Like the other wedding dress, the ‘Beyond Blissful’ dress doesn’t wrinkle, and has sort of a intentionally rippled fabric so it, too, would be ideal to wear for a destination wedding. It also drapes beautifully which gives it a bit of a Grecian goddess look. 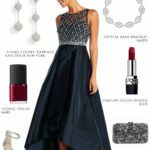 I loved the sash that it came with and styling it with ModCloth’s sparkling ‘Watch Oval Me’ earrings, but it also could work with so many of the ModCloth accessories, especially their sashes, to make a look that is distinctly your own. 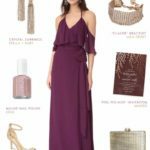 Get the Look for Your Wedding! 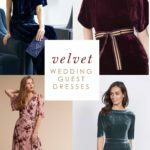 So I hope you’ve seen from this look at these new wedding dresses, as well as last month’s ModCloth post where we featured their wedding guest and bridesmaid dresses, that ModCloth has every type of dress for a wedding! In addition to these wedding dresses and bridal gowns, I really love their new wedding gifts and decor section which has the sweetest touches for wedding decor and presents for your newly married or engaged friends! 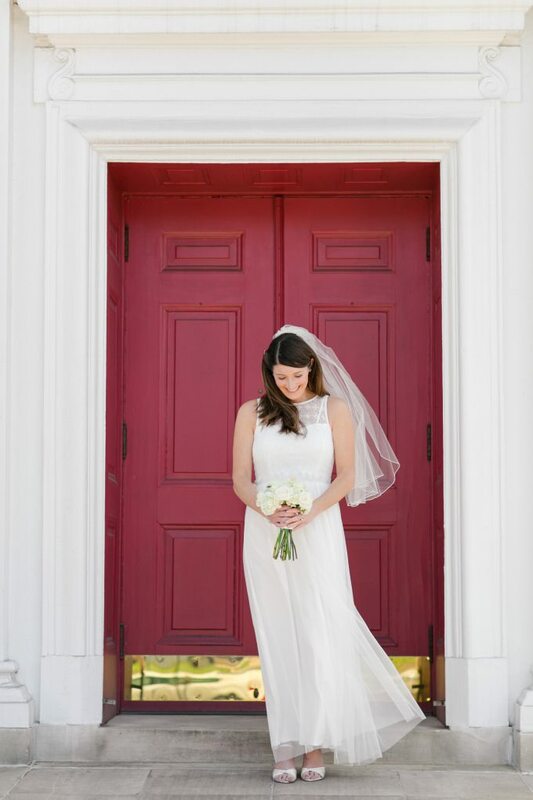 Thank you to ModCloth for letting me be a bride again! And, if you’re a friend of family member of mine, wondering when this wedding was, or why I’m wearing a wedding dress again several years of marriage, it’s because I just got to pretend to get #MarriedinModCloth! 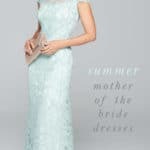 For my readers, I hope you really will choose to wear something from the ModCloth wedding collection on your big day! Thank you to ModCloth for sponsoring this post, with special thanks to Brittney Kreider for photographing this shoot. Thank you to Bethany UCC for allowing us to shoot in front of their beautiful church. 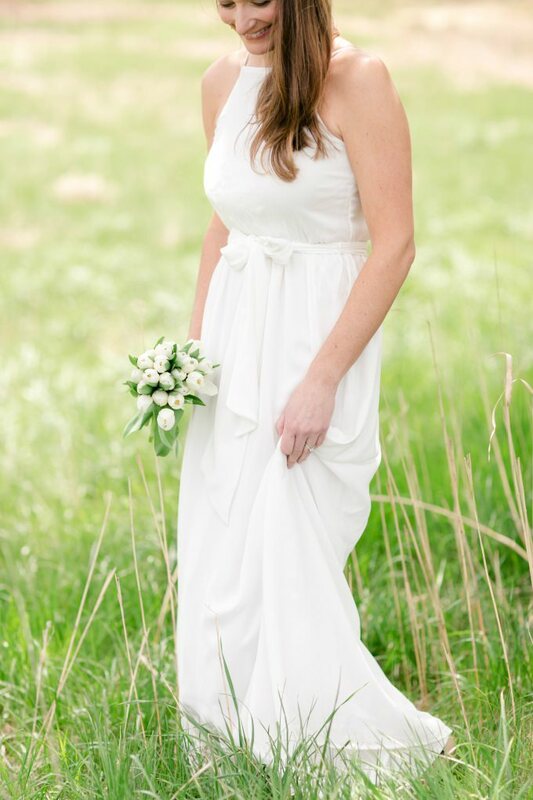 Styling and florals by Dress for the Wedding. 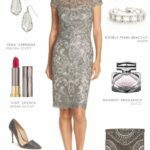 In addition to the sponsorship and dresses received in kind, affiliate links are used in this post.